The newly set up PMG unit committee of DYFI in Thiruvananthapuram has 11 members, nine of them are transgenders. It is the first unit of the outfit in the country to have opened doors for the transgenders, sources in the DYFI said. Thiruvananthapuram : The Democratic Youth Federation of India (DYFI), the youth wing of the CPI(M), has inducted nine members of the transgender community into the organisation as part of its efforts to bring the marginalised section into mainstream politics. The newly set up PMG unit committee of DYFI in Thiruvananthapuram has 11 members, nine of them are transgenders. It is the first unit of the outfit in the country to have opened doors for the transgenders, sources in the DYFI said. The party also added a third gender column in its membership form, the sources said. At a function held on Saturday to welcome the new members, Transgender Justice Board member and artist Surya Abhilash was elected as the president of the unit. Besides Surya, Shyama S Prabha, Sandhya Rajesh, Asma, Keerthi, Vaishnavi, Achu, Diya and Abhi were the other transgender members of the unit. City corporation councillor I P Binu, also a state committee member of DYFI, said the “path-breaking” decision to induct transgenders was taken during the recent national conference of DYFI in Kochi. 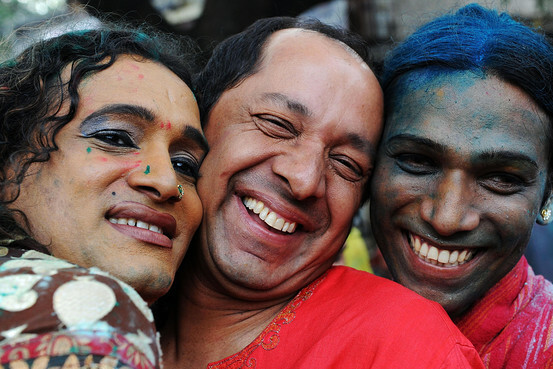 “Transgenders are facing a plethora of problems ranging from societal stigma to health issues. Our objective is to end the social exclusion faced by them and bring them to the forefront,” he told reporters. Binu said a majority of the newly enrolled members were part of the two units of self-help group Kudumbashree, set up exclusively for the empowerment of the third gender. “We have given membership to those transgenders who believe in Left ideologies. Not just that, their organisational skills and activities at Kudumbashree were also taken into account,” he said. The councillor said that they were now getting enquiries from across the state seeking membership in the youth outfit. After receiving the membership, an elated Surya said it’s a milestone achieved in terms of empowering the transgenders and with this, the Kerala society has accepted their visibility. Kerala, which unveiled the first transgender policy in the country in 2015, has recently initiated a series of welfare measures for the third gender. The government had issued identity cards for transgenders and earmarked Rs 10 crore for their welfare in the last budget. Recently, Kochi Metro earned accolades worldwide for hiring over 20 transgenders in various posts.